Also known as gum disease, is an inflammation of the gums and bone that support the teeth. It is a condition that may cause formation of gum pockets around teeth, dull aches, bleeding gums, halitosis (bad breathe), receding gums and loose/shifting teeth. The primary cause of periodontal disease is plaque. When the body’s immune system detects bacteria, a chronic inflammation ensues that resorbs the bony support around teeth. In advanced periodontal disease, this may result in the loss of teeth when all supporting structures are lost. 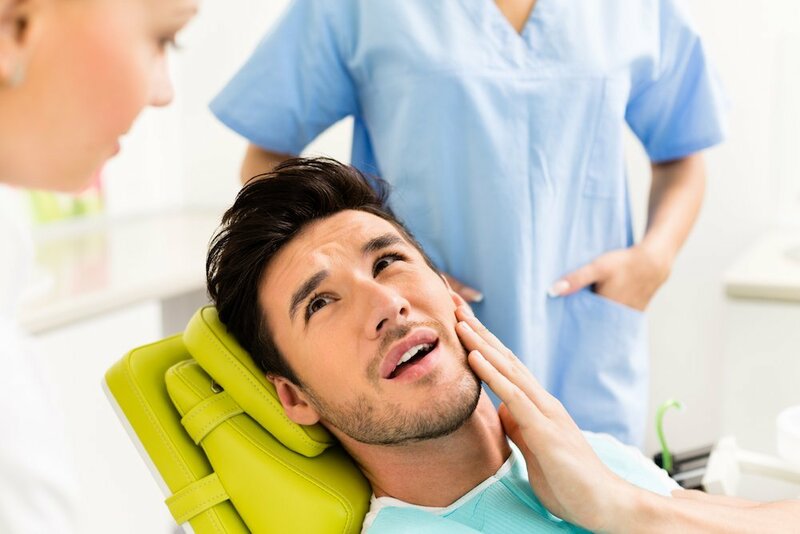 Treatment involves scaling and root planing, to remove the bacteria residing in the periodontal pockets, and implementing a strict oral hygiene protocol of flossing, brushing and using mouth rinses. At Clover Dental we will assess your periodontal health at your regular check up. We teach oral hygiene instructions to help you maintain the health of your gums, and when required provide periodontal treatment services. At Clover Dental we will assess the severity of your gum disease and recommend either a deep clean (teeth scaling) or for more severe cases we may begin Periodontal Disease Treatment. Don’t suffer with gum disease any longer. Give us a call.